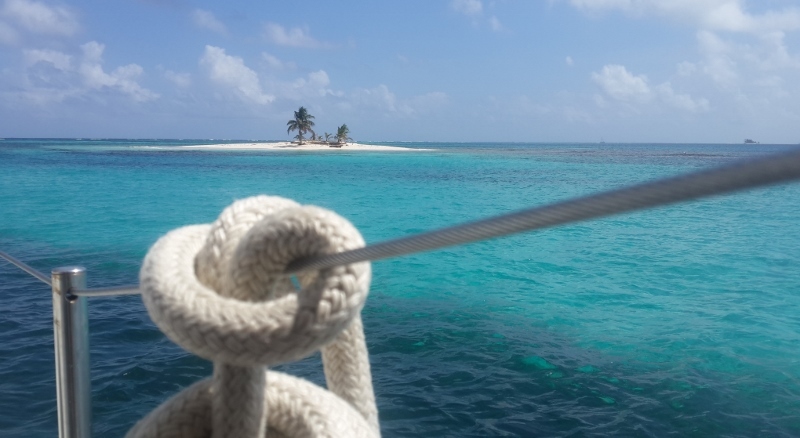 A recent guest sent us these touching lines, after having spent some days sailing San Blas on our sailboat. He allowed us to publish it on our blog and we are now grateful for sharing it with you. Thanks Julián Sanmartín. Last month I sailed on Pantalasa, a beautiful two masted schooner with three guest cabins, on the occasion of a yacht charter I did in the San Blas Islands. It was a wonderful time. I’ve learned that life can be so different. Never in my life have I eaten fresh and ecological fish like in these days. We ate fish literally fresh from the sea, and only the amount we needed for our lunch or dinner. After exploring the San Blas Islands on Judit and Nacho’s sailboat, I realized that everything has a different value than what we have in “civilization”, where most of us usually live. 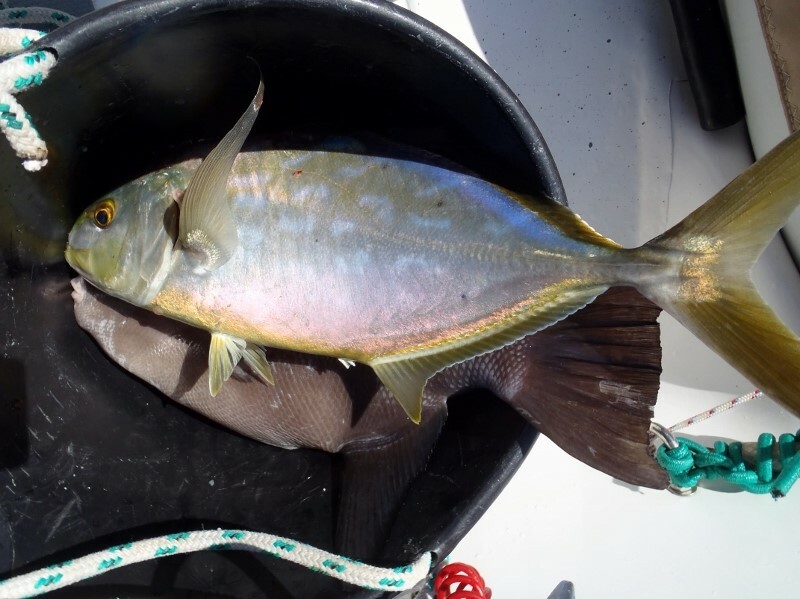 When we were snorkeling, besides just enjoying the great show that the sea brings to us, we could also fish only the food we needed for the day. Nothing is more simple and in harmony with Nature. There was no need to fish more than necessary, because the day after, we could do it again. Like the Indian Kunas we took from the sea what we needed for the day, without worrying about the future. The future is today. We spent four days enjoying the good company of our friends and hosts, sailing from island to island, amused by the beauty of San Blas, the magic colors of the sunsets, watching the pelicans fly, the turtles sticking out of the water, listening to the silence and feeling very comfortable and grateful for this easy living. And tomorrow we go fishing again! 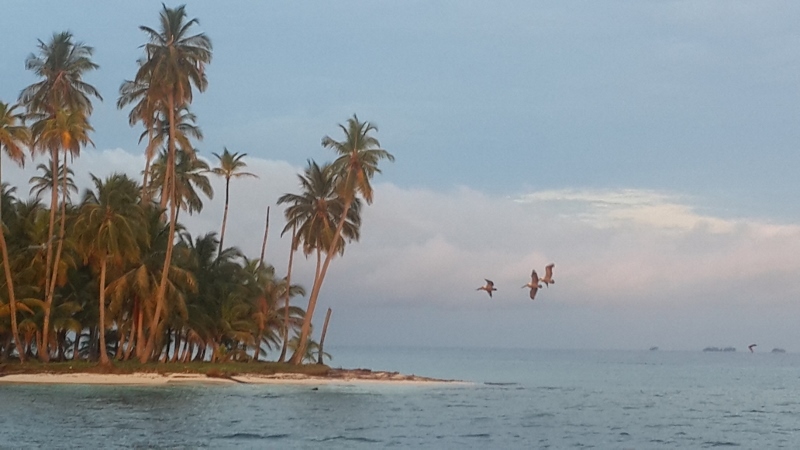 San Blas Islands… beyond words! Send us a message for more information or for booking your Panama sailing charter in the San Blas Islands.